Help us to fund a cure! Registration is now closed for our 14th Annual Bras for the Cause Walk that took place on April 13, 2019, "QUEST FOR A CURE". Donations are still being accepted through May 4th, 2019 for this walk. Please click on the Make A Donation button to the right, above, to donate now to this important event! 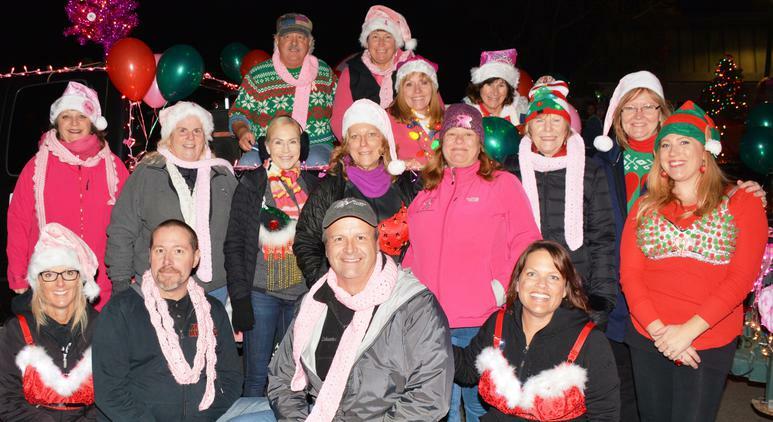 Tri-Valley SOCKs raises money for breast cancer research, treatment, in support of uninsured patients, and educational programs. We are a group of fun-loving and hard working volunteers. Join us in our quest to fund a cure to find a cure! Questions! Click HERE to see answers to frequently asked questions, along with Fundraising Tips. TVS is a 501(c)(3) Not-for-Profit corporation. All of us at Tri-Valley SOCKs send our heartfelt THANK YOU to all that supported our April 13, 2019 walk by participating, partnering, donating, and volunteering! Tri-Valley SOCKs is pleased to have named SHADIA LUJAN, a breast cancer survivor, as the HONOREE for our 14th Annual "Quest for a Cure" Bras for the Cause Walk on April 13th. Click HERE to read Shadia's story. The funds raised from the 2018 "Warriors - In It Together" Bras for the Cause Walk have been distributed to the 2018 Beneficiaries, more info here. Be sure to click on our Event Partners tab above to see all the wonderful businesses and/or groups that continue to support Tri-Valley SOCKs and our cause. Thank you to them all!!! Enjoy viewing our 2018 WALK SLIDESHOW VIDEO at the Important Links tab above. Not affiliated with Walk the Walk Worldwide or its events.